The IPO of Pakistan has announced an increase in the official fees for patent and trademark registration. The amended fees entered into effect as of March 9, 2019, and constituted a general enlargement of approximately 50%. Prior to the introduced amendments, the official fee for filing a trademark constituted 2000 PKR; however, once the fee amendments entered into force, it now constitutes 3000 PKR. Further, the grant fee has risen significantly, from 6000 PKR to 9000 PKR, constituting a 50% increase. Renewal fees have also risen from 10,000 PKR to 15,000 PKR. Pakistan accepts only single-class trademark applications; therefore all fees are indicated accordingly. Patent filing fees follow the same trend. The previous fee for application filing was 4500 PKR, with an additional fee of 60 PKR for pages beyond 40, and 150 PKR for claims beyond 20. The amended fees now constitute 6750 PKR, 90 PKR and 225 PKR respectively, giving effect to another 50% increase. In addition, the renewal fees have risen from a starting point of 6000 to 12,000 PKR. In a significantly drastic increase, the previous search fee of 300 PKR has now grown to 1500 PKR, which means a 500% enlargement. This dramatic raise in fees has been said to signify a strategic move by the IPO of Pakistan to create a more efficient and structured intellectual property protection system. 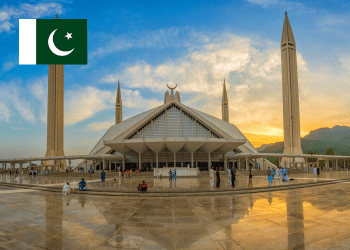 Following the need to maintain an up to date IP infrastructure, the IPO of Pakistan may utilise the increase in official fees to benefit applicants by investing further into initiatives. One of the most recent examples is an initiative allowing for the filing of online trademark applications. The e-filing system is presently underway and will be available to nationals for direct filings through the system. Foreign applicants will have the option to file a Power of Attorney for their representatives who, in their turn, will access the system. The pilot project of the service, in its initial run, will allow only for filing procedures, however, it is set to deliver further trademark services in the future.